Their only consideration was the excitement they felt. They soon had their first client and agreed they would each work an equal amount of hours and split their profits 50/50. While each type has specific pros and cons, there are partnership pros and cons that cover them all. Before you start choosing a specific partnership type, take a look at the general pros and cons of a business partnership. The most important decision an entrepreneur can make is how to form his or her company. 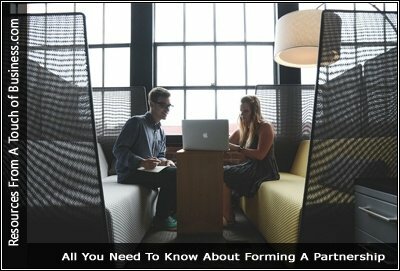 If a business owner has a partner or partners, frequently the most obvious choice is to form a partnership. But, like everything, partnerships come with their own pros and cons. I believe most startups have some constraints when it comes to cash and has a hard time finding investors. That’s essentially why the term “bootstrapping” exists.